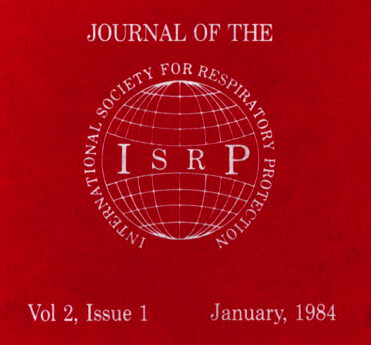 A Founder Member of the International Society for Respiratory Protection, I have always been a great enthusiast for the scientific work published by its members and the advances to safety such work has brought, over the years. Amongst those advances may be included that singular improvement in Respiratory Protection, found in the advent of Positive Pressure Breathing Apparatus, during the ‘Seventies. And: in the early ‘Eighties, the coming of bench-mark test standards that was to improve, so much, the safety of Fire-fighters and others who use Self Contained Breathing Apparatus in hazardous atmospheres. AGA Spiro (Interspiro) was the first company to make positive pressure RPD commercially available and, in my view, its essential design features have yet to be significantly improved by subsequent designs. The paper downloadable here, is abstracted from the first of the Society’s regular publications and describes the findings of scientists who worked to advance methods of attaining better protection - These included Hans Almquist and Gunnar Dahlbeck; who, for the first time, convincingly demonstarted the means to prevent mask in-leakages; so providing Protection Factors in excess of 100,000 during exercise and similarly, Protection Factors of around 10,000 for wearers with full beards. Consideration of bearded wearers was a key consideration becasue very, many firefighters across Europe - especially Scandinavia - wear full beards. Thus; obviating the necessity for tight fitting masks and reducing the critical limits of Total Inward Leakage was a vital part of the positive pressure project. Dahlbeck et alia went further; illustrating that the use of well designed, positive pressure BA would provide physiological advantages, too: for example, by improving the alveolar air distribution during effort and demonstrating the importance of low breathing resistances and minimising residual mask volumes. Indeed; the work presented in this paper was to lead to several of the test protocol, today specified in International, test standards. Examples are EN136, EN137, EN250 - in which, essential safety features of Respiratory protective devices are tested. In 1984 was created an international group of scientists and technicians whose common goal is research for improving lung protection, quantifying risk and disseminating the knowledge to members throughout the world. That is the International Society for Respiratory Protection. 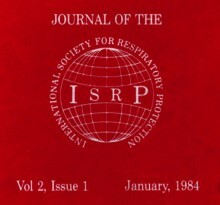 Click the button below to add the ISRP Journal (Abstract) Volume 2, Issue 1 (Jan. 1984): Testing SCBA to your wish list.